We’re very happy to introduce a new tour to our repertoire. 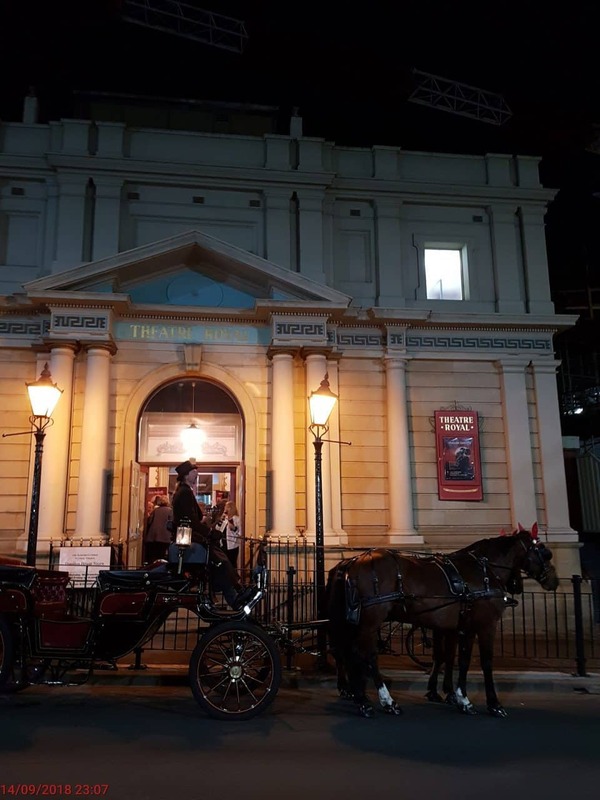 We can now take you on a Theatre Jaunt which encompasses a tour through the Waterfront and drop you at the entrance to Australia’s oldest Theatre – the Theatre Royal, in time for your night’s performance. And the beautiful spring and summer weather is just the right time for a Theatre Jaunt in the evening. Of course, you can also enjoy a pre-performance champagne on your tour as well. And don’t forget a drop of history to go with your tour. We’ll tell you a little of the Theatre’s fascinating past, and of course, its resident ghost, Fred! If you’d love to arrive in absolute style to the Theatre, please note that bookings are essential for this tour. Just call us on 0408 763 392. There is a maximum of 4 adults on this tour. The price for this tour is $100 per carriage.